This panel will focus on the wide range of funding opportunities for both large and small-scale cannabis businesses and the realities that ensue in these types of partnerships. The panelists will discuss the legal responsibilities and ramifications for both the investors and the invested party; what potential investors are looking for and expect from these investments, and the types of investments to pursue whether it’s for start-up, expansion and/or upgrade purposes, and the tax implications. Sherri Haskell, Canna Angels, CEO will be speaking to contribute insights into the expanding domestic and global cannabis investment opportunities. The Alternative Investing Summit will bring together trustees and representatives of institutions as well as money managers and consultants to explore the roles of alternative opportunities and strategies. As a strategy, alternatives offer investors a method to obtain the returns they require and break the paradigm of the 60/40 rule, however not all alternatives are the same nor do they come without certain risks. Participants and delegates of this alternative investment conference will investigate a range of critical investment issues, including discussion of the risks and benefits of various asset classes and investment vehicles such as hedge funds and private equity, examining means of cutting costs associated with implementation of absolute returns strategies, reviewing the future of commodities and surveying the landscape of emerging international markets. Sherri is speaking and leading the Cannabis Investing Nuances session. Come and join Opal Group’s Annual Family Office & Private Wealth Management Forum – West. Known for the fastest growing population of newly structured family offices in the world, Northern California is largely dominated by first and second-generation families from the Silicon Valley. Investment strategies such as Private Equity, Venture Capital, and Technology will be familiar themes throughout this conference. Investment managers and families will come together to discuss the foundations in which they built their wealth, and uncork the various investment strategies in which to keep their portfolios growing and plentiful. Additional hot topics such as impact investing, alternatives, and the trustee beneficiary relationship, will allow for delegates to sample a diverse blend of palatable subjects while networking amongst a top tier group of private wealth professionals. PALO ALTO, California – September 5, 2018 – Sherri spoke at a conference for 50 European Executives of Merck Pharmaceutical. The engagement was held at the Rosewood Sand Hill in Palo Alto on September 5th, 2018. 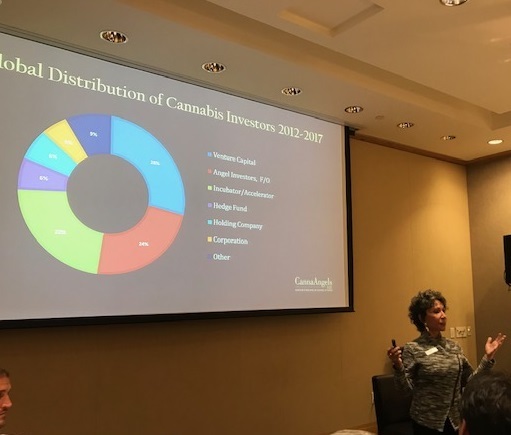 She discussed Cannabis Capital Markets, Trends, and Global Implications to a very inquisitive audience of researchers, chemists, and business and marketing executives. 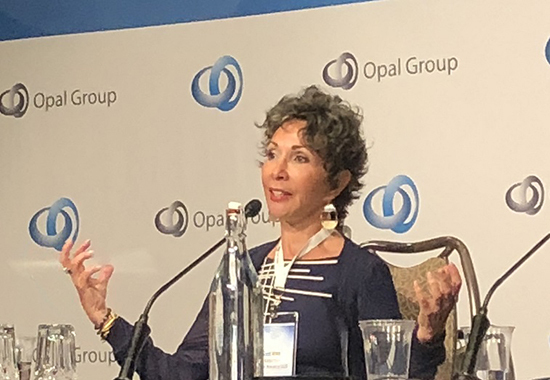 As Opal Financial Group’s flagship event, The Family Office & Private Wealth Management Forum has become Opal’s largest family office event in the world. Known for its rich history and magnificent mansions, Newport, RI attracts thousands of delegates each year. In the course of three days, and over 1000 delegate’s family offices, private investors, and investment managers navigate their way through the choppy waters of the past recession, while continuing to explore the best ways to map out their portfolios. Discussions cover a wide variety of investment topics including direct investing, impact investing, non-correlated assets, and many more.